2018-19 District 5495 Governor Jim Erickson Jim joined the Rotary Club of Menomonee Falls, WI in April 1977. He served as club president in 1985/86 and later as a Governor’s Group Representative. 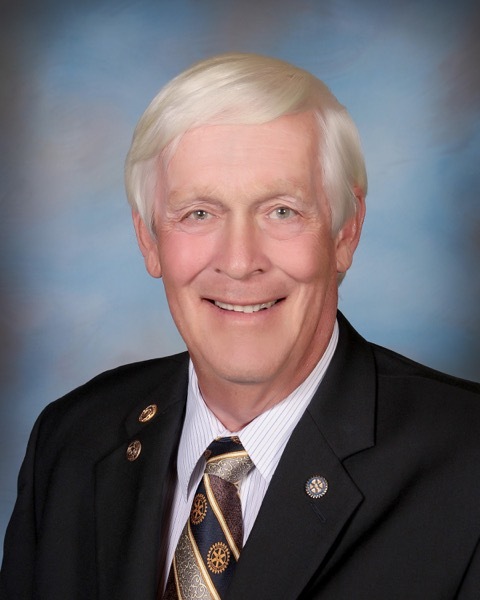 Following a move to Arizona in late 2006, Jim was accepted as a member of the Superstition Mountain Rotary Club, serving as club president in 2009/10. In subsequent years Jim served his district as an Assistant Governor. During his 40 plus years in Rotary, Jim has traveled to India for NIDS, led a GSE team to Switzerland and Liechtenstein, and traveled to Mexico in connection with the Micro Lending initiative. Jim is an active supporter of the Rotary Foundation, making contributions to both the annual fund and the PolioPlus fund. He is a Paul Harris Fellow and a member of the Paul Harris Society. A third generation Rotarian, Jim attained the rank of Eagle Scout while growing up in Milwaukee, Wisconsin. Following high school, Jim entered the United States Air Force Academy, graduating in 1969. He attended undergraduate pilot training at Williams AFB in Arizona, where he met his wife. Jim and Maryann, also a Paul Harris Fellow, were married in July 1971. Jim resigned his commission in 1974 leaving the Air Force to help his father in the family metal stamping business. He went on to run the company for 30 years following his father’s death in 1976. Rotary has been an important part of Jim’s life. He looks forward to continued service.